A girl I sort of dated in college told me that she thought I looked like “the love child of Mick Jagger and Jackson Browne.” This was the ‘70s. She was delusional; I was young and flattered. I had forgotten the comment (really, I had!) until somebody forwarded this photo to me from Facebook. It was taken (as far as I can figure since I remember the shirt) by photographer John Earl sometime in the very early ‘80s. I am the skinny guy in the down right corner with a lot of attitude. The photo made me gasp since I had forgotten myself as that skinny, that young, and with that hairstyle. But then the Mick and Jackson love child statement came to mind. Or is that guy in that picture maybe “Zoolander-esque”? Or Zoolander-esque-ish? The picture was taken in the Chukker, a Tuscaloosa fixture for 47 years from 1956 to Halloween 2003. It was a bar. It was a dive. And it was one of the great and legendary watering holes in the world (friends have reported seeing Chukker tee-shirts in Paris). I was born in 1955 so I was a minute older than the Chukker. But here’s the deal: My parents opened a typewriter business on 22nd Avenue in downtown Tuscaloosa in 1957 and their shop was around the corner from the Chukker, new at the time but already a dive. Back then, the Chukker was a lunch spot – a grill if you will – in the daytime and reverted to its bar status at night. I know my parents would probably rather not admit to this, but I remember going to the Chukker as a young child to pick up coffee in the morning and sandwiches at noontime for Mother and Dad. So my personal memories of the Chukker go back to about 1958. It was a different time and toddlers could freely roam Tuscaloosa city streets. I was – I’ll admit it – too much of a spoiled brat to go to day care back then and my accommodating parents made a sort of nursery/playroom for me in the back of their business. 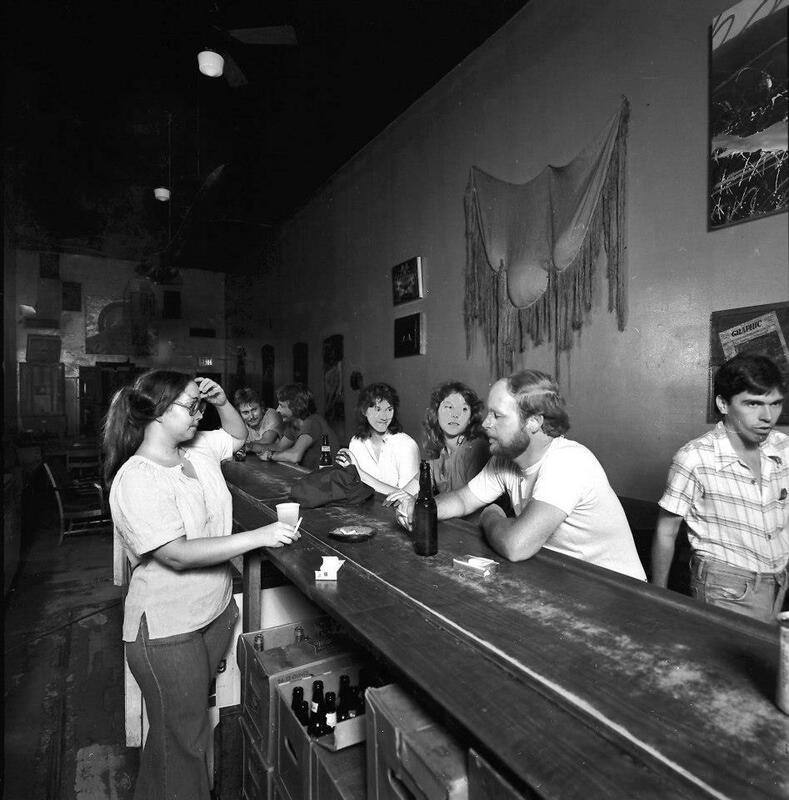 When the family moved back to Tuscaloosa in 1972, the Chukker was still there. And it was still there when I was an undergraduate in college. It was only after I finished college (the first time) and I was still living in Tuscaloosa that I went with friends back to the Chukker. Back then, it was much like I remembered it, but it was a full-fledged bar and its reputation seemed to change biannually. It was reputed to be, at various times, an “artists’ bar,” a “biker bar,” a “blues bar,” a “bohemian bar,” a “gay bar,” a “lesbian bar,” an “old hippy bar,” a “punk rock bar,” a “redneck bar,” a “writers’ bar” … I could go on. What it was, though, was an inclusive community that happened to be a bar. One always felt looked after at the Chukker. One always found someone one wanted to talk to and get to know. My friend Bill and I were at the Chukker when I heard that John Lennon had been killed. That was no small feat since the bar had no phone at that time. I directed my first, and unexpectedly successful, production of Gertrude Stein plays at the Chukker. Bruce Hopper, the owner at that time, asked me if I wanted to do a show in the bar’s performance space. I told him that I did but I couldn’t guarantee an audience for the avant garde plays of Gertrude Stein. He said “do it” and we sold out nightly. A film student shot a short film of my friend Deb and me walking in a circle in the Chukker courtyard on the day that Andy Warhol died. We walked round and round and talked about Andy and Andy’s death. I never saw the finished product but someone told me, many years later, that they saw it at a screening somewhere. “You’re the guy walking in circles in that Warhol film.” Yes, I guess I am. My friend Clay would spend hours, it seemed, glued to the Chukker’s Galaga machine. My Galaga attempts were generally over in under a minute. Clay and I played a lot of pool at the Chukker also. My pool skills were unpredictable at best; I chose to refer to them as “Zen-like.” Clay was one of the few people who had the patience to play pool with me; I even won a game on occasion. An ersatz and quirky art collection was housed at the Chukker – mostly the work of artists who hung out at the place during their Tuscaloosa sojourn. Some was hanging on the walls and some was painted directly on the walls. “The Sistine Chukker,” Tom Bradford’s Michelangelo homage on the bar’s ceiling, was the most legendary piece of the Chukker collection. For many years, I would welcome newcomers to Tuscaloosa with a postcard of the Sistine Chukker. The great Tuscaloosa-based Celtic group Henri’s Notions was practically the house band at the Chukker for a while. Forecast, The Indigo Girls, The Replacements, Johnny Shines, Richard Thompson, and Sun Ra all played the Chukker, as did any number of local bands trying to be R.E.M. during that band’s heyday. In fact, I took a long time to warm up to R.E.M. because of the English department “R.E.M. wannabe” bands that sprang up in Tuscaloosa at the time. The real R.E.M. itself adjourned to the Chukker after a concert on the University campus, bringing a substantial number of the concert-goers with them, when Michael Stipe announced to the audience that that’s where they were going after the show. I invited Billy Joel to the Chukker after one of his Tuscaloosa concerts; he declined. Jimi Hendrix may or may not have played there and Keith Richards may or may not have played pool there. Abbie Hoffman DID have a beer there because I was there when he did it. There was always a “Chukker Nation Reunion” on the Saturday between Christmas and New Years’s Day. “Quarter beer night” on Mondays was a longstanding tradition. One could go on the roof of the building next to the place (the building, in fact, where the furniture store where I bought those bookshelves used to be) and watch the cars converge from every direction at 9:00 p.m. on Monday (remember that convergence scene in Field of Dreams?) and watch most of the same cars leave again at 10 when the hour of 25 cent beer was over. I had not been at the Chukker for many years when I heard it was closing its doors on Halloween 2003. In fact, the closing was reported on CNN. It was ultimately the victim of a Tuscaloosa downtown renewal. There’s a park where the Chukker and my parents’ typewriter shop used to be, and a fountain nearby. It’s a nice enough place, but a little bittersweet if you remember what used to be. I went down on Halloween 2003 to be a witness. So did many other people. I didn’t stay long that night, and I was disappointed that I arrived just as Henri’s Notions finished their final Chukker set, but the place was packed; it seemed that every time the door opened that night, it contained a face that I had not seen in ages. Truly, people flew from across the country to be present at the Chukker’s closing night. I visited with the guys from Henri’s Notions, Sandra and Michael, Fred and Jennifer, and other people I knew. I didn’t stay long; I didn’t even have a beer. But I was there. And then I was not there anymore. It was all I could do not to turn around for one last look as I walked out of the Chukker door for the final time. But I didn’t. I just kept walking. This entry was posted in Alabama, culture, The Chukker and tagged Alabama, bars, culture, Henri's Notions, R.E.M., The Chukker, the south, Tom Bradford, Tuscaloosa on October 25, 2014 by gedwardjourney.